According to both Florida and federal law, it is illegal for any person to possess an unlawful controlled substance. Unlawful controlled substances include, but are not limited to: marijuana, heroin, cocaine, methamphetamine, LSD, Ecstasy, and unauthorized prescription medications. 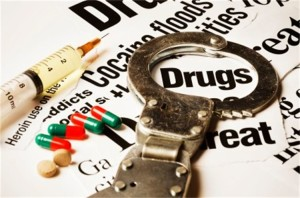 If a person is found to possess an illegal narcotic, he/she can be charged with drug possession. Additionally, a person can be charged with possession if he/she is found to possess precursor chemicals that are used to cultivate or manufacture illegal narcotics. Possession of Marijuana is typically filed as a first Degree Misdemeanor, which is punishable by up to one year in county jail. However, a conviction will result in the suspension of your drivers license for up to two years. Possession of Cocaine/Controlled Substance is a third degree felony, which is punishable by up to five years in Florida State Prison. You may be able to get credit for time already served in jail with no further penalty with a good attorney. Often times the only difference between possession and possession with the intent to sell is the way the narcotics are packaged. If the narcotics are packaged in individual packages, police officers presume it is for sale and/or distribution. Sometimes, if a large sum of money is found near the narcotics, possession with intent will be charged. If I’m arrested, do the police have to “read me my rights”?